LIVE – TALK by Markus Zohner: Lecture about a 9 Months Walk from Venice to St. Petersburg, Locarno April 2014 On April 10th, 2014 in the Hotel Belvedere in Locarno, Theatre Director and Author Markus Zohner presented an illustrated Lecture. He gave a talk about his 9-month, 12-country 4,000 Km Walk from Venice to St. Petersburg along the Ancient Amber Way, about which he has written a book. Mr. Zohner heads an independent Arts and Theatre Company which develops and performs artistic projects internationally in Theatre, Photography, Radio, Video and Film, receiving awards from many countries around the world. 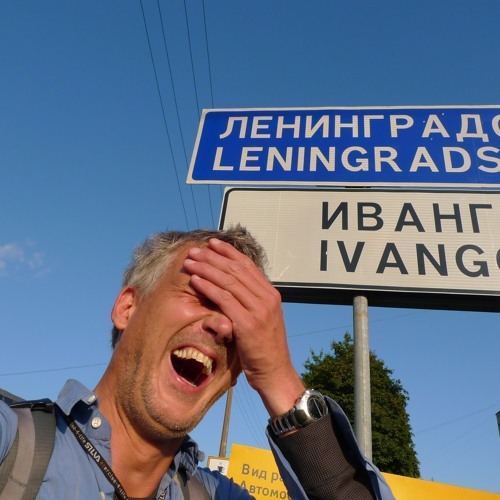 Markus Zohner, for nine months has walked on foot from Venice / Italy to St. Petersburg / Russia – a 12-country 4,000 Km Walk along the Ancient Amber Way, about which he has written a book, edited by FIZZO Photo Book Film in German („Die Wiederentdeckung der Bernsteinstrasse“) and in Italian (“La riscoperta dell’antica Via dell’Ambra”). Further information: http://zohner.ch/release/markus-zohner-the-re-discovery-of-the-ancient-amber-way/ A huge Photographic Exhibition with over 120 pictures has been devised, which has been presented in Austria, Italy, Hungary and lately in Bellinzona / Ticino, at Sasso Corbaro Castle. His walk lead him through Italy, Slovenia, Hungary, Austria, Czech Republic, Slovacchia, Poland, Kaliningrad, Lithuania, Latvia, Estonia and Russia. Mr. Zohner heads an independent Arts and Theatre Company which develops and performs artistic projects internationally in Theatre, Photography, Radio, Video and Film, receiving awards from many countries around the world.